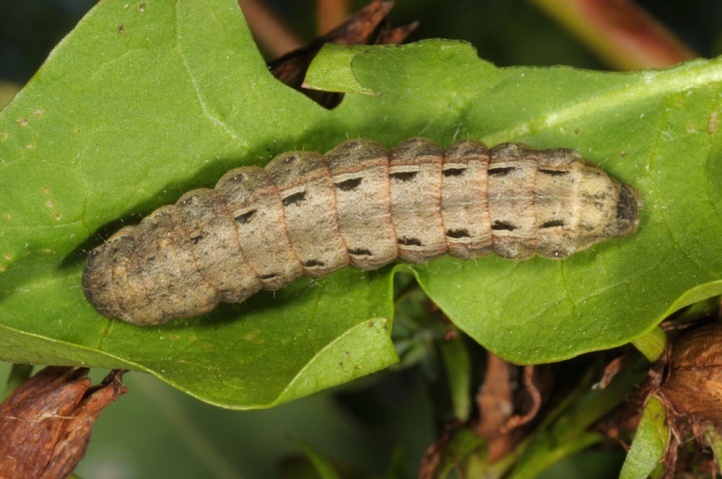 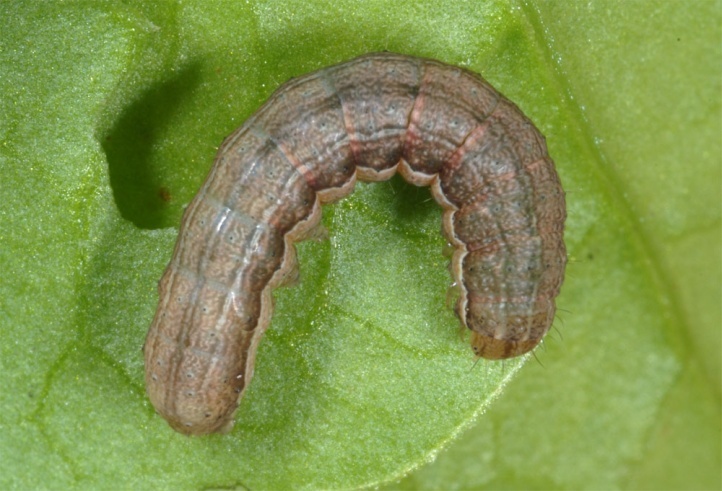 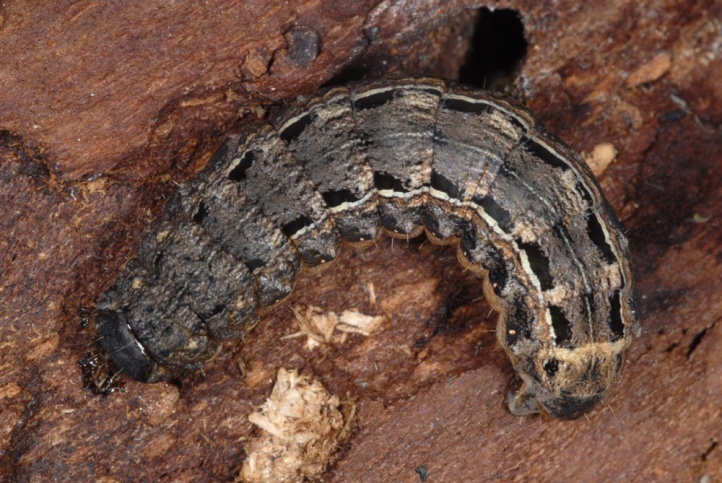 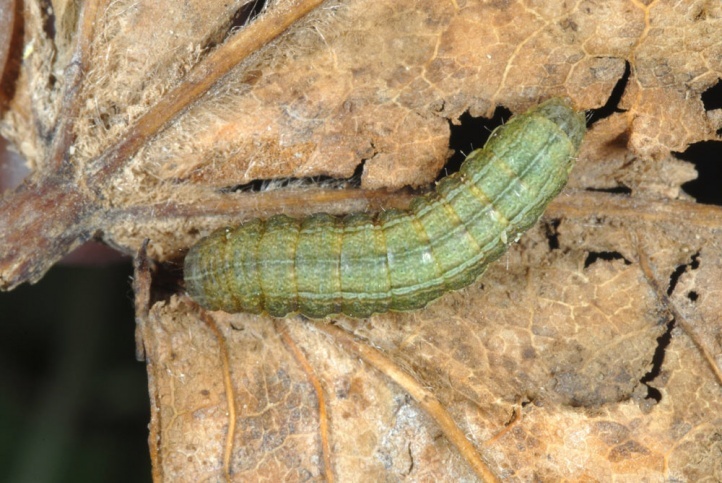 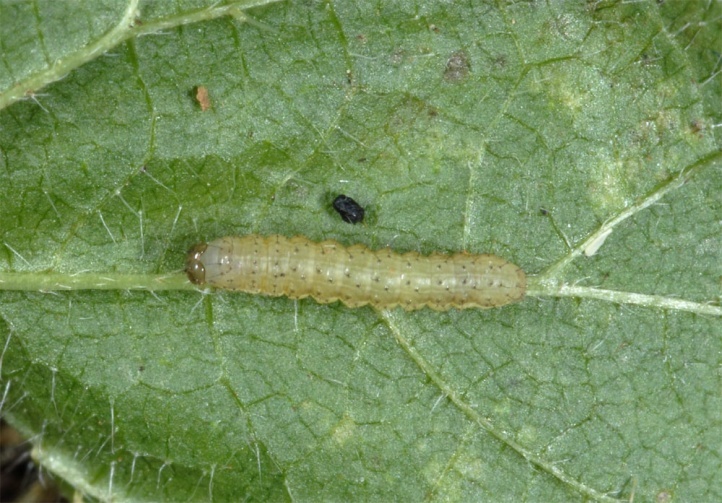 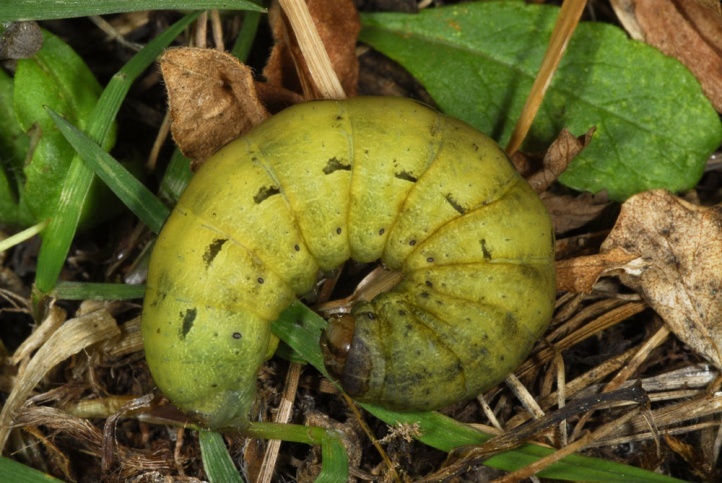 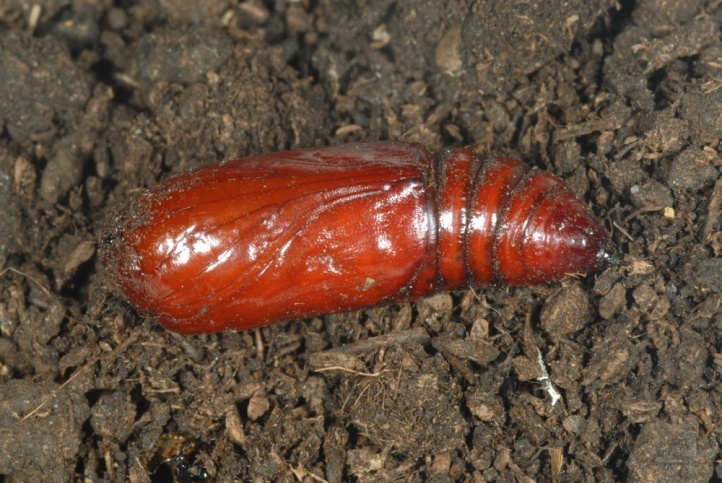 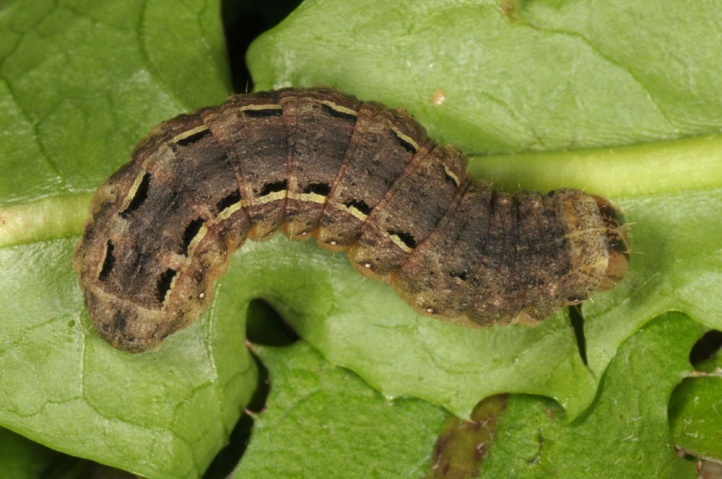 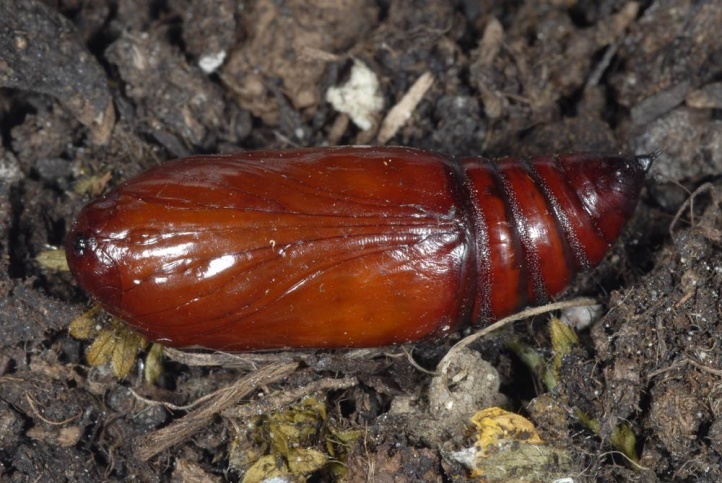 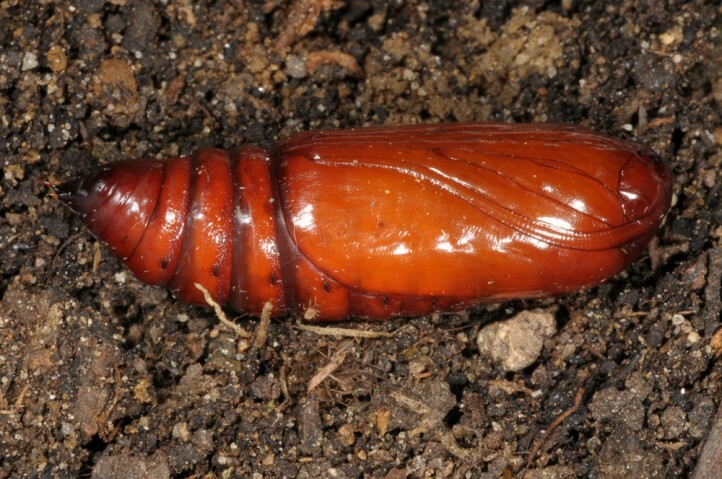 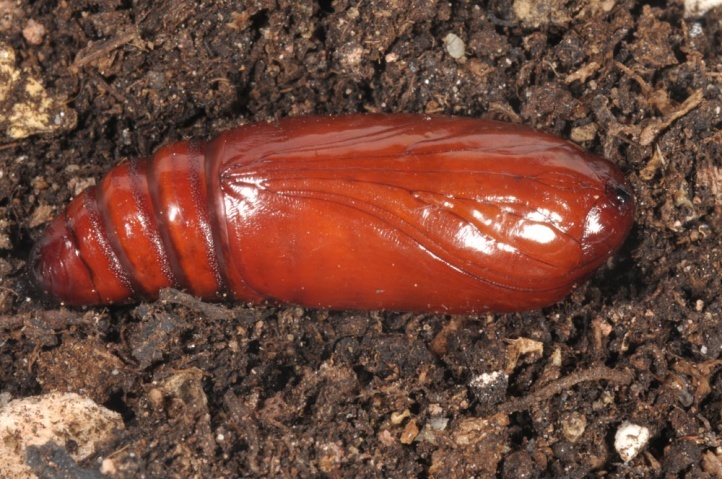 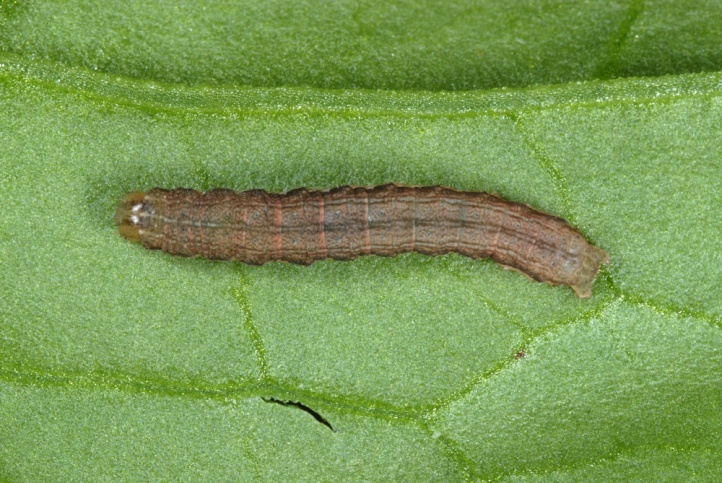 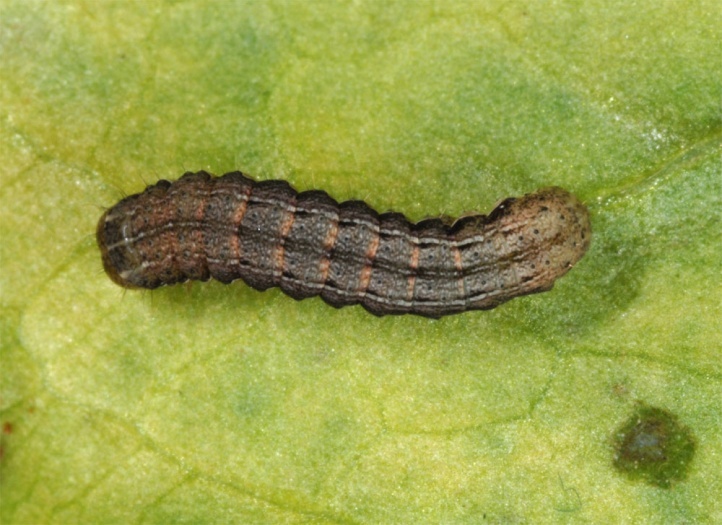 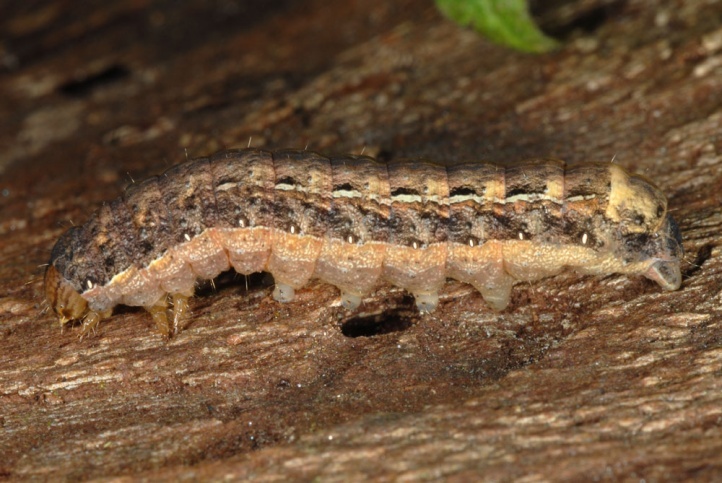 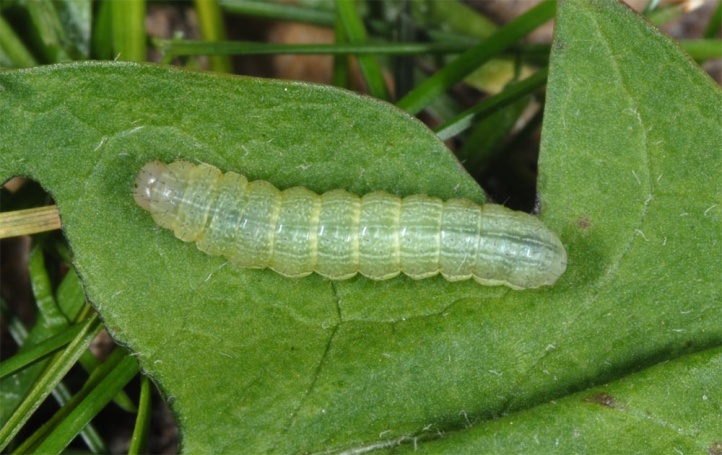 The larvae are polyphagous. 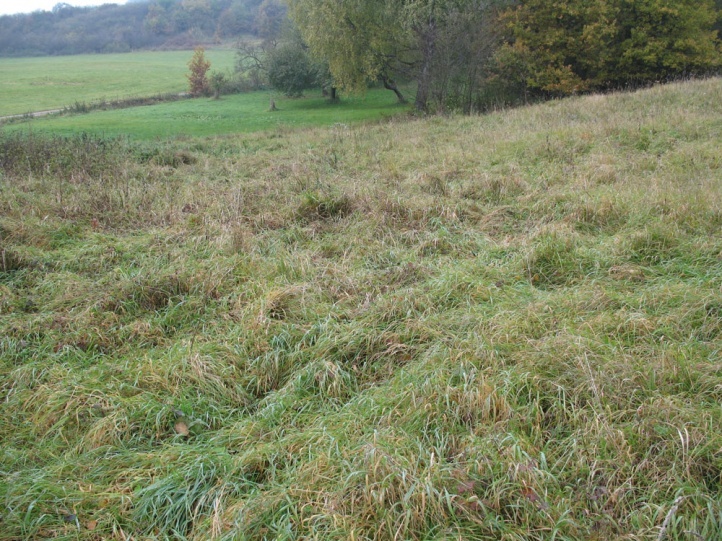 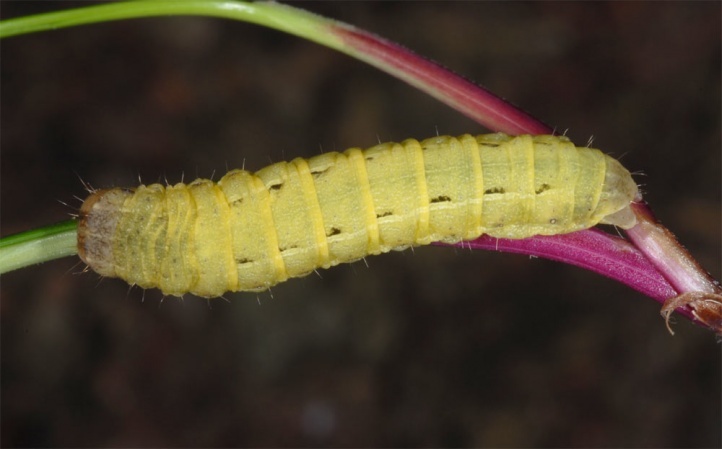 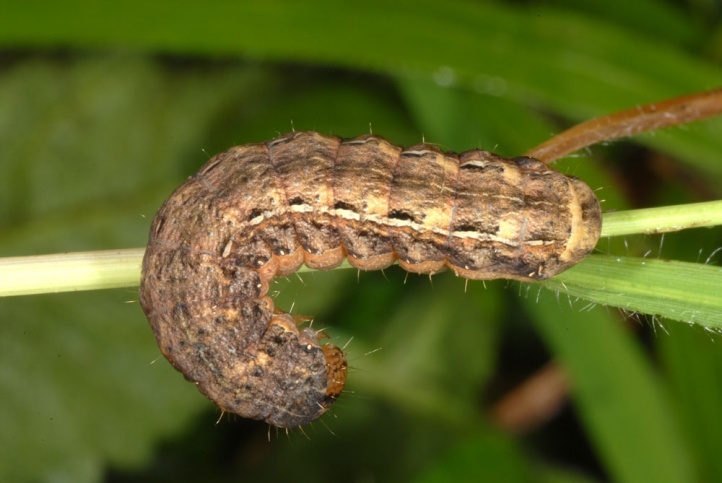 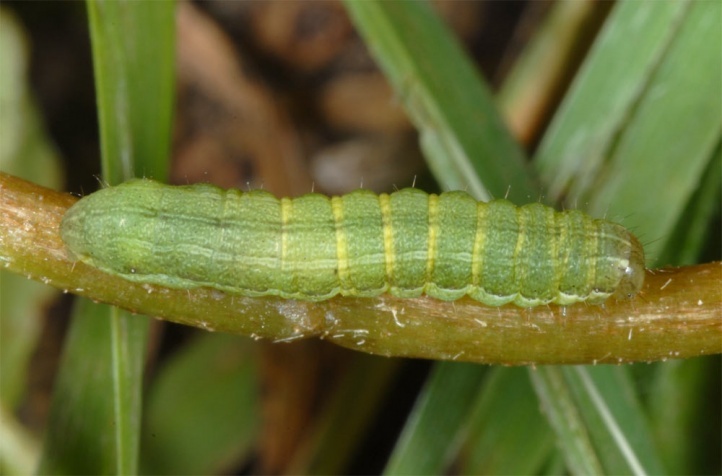 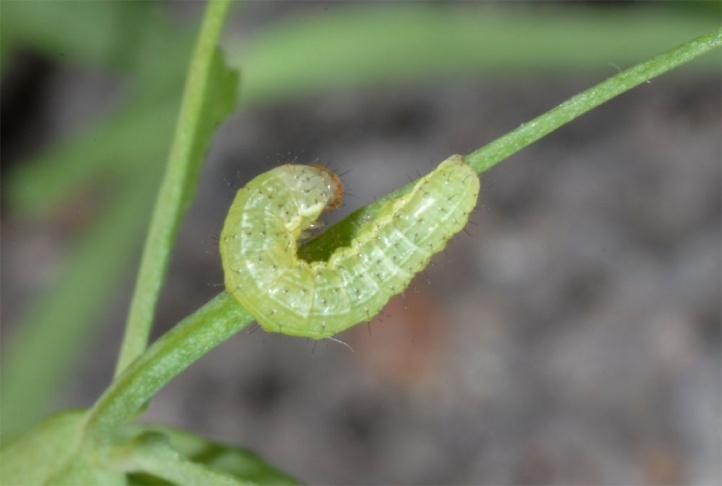 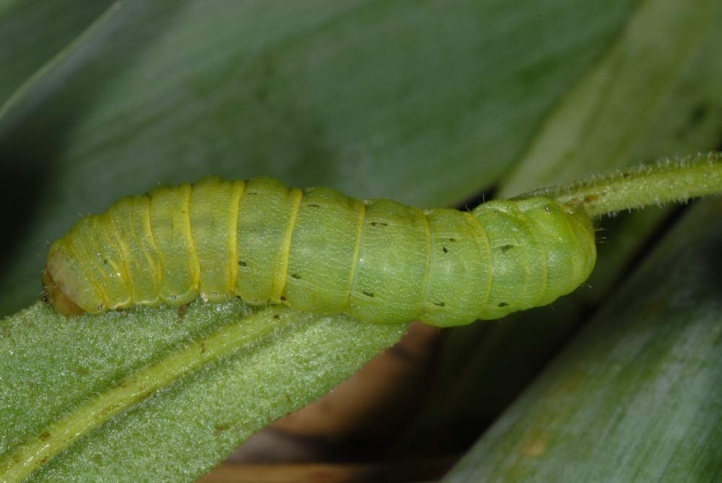 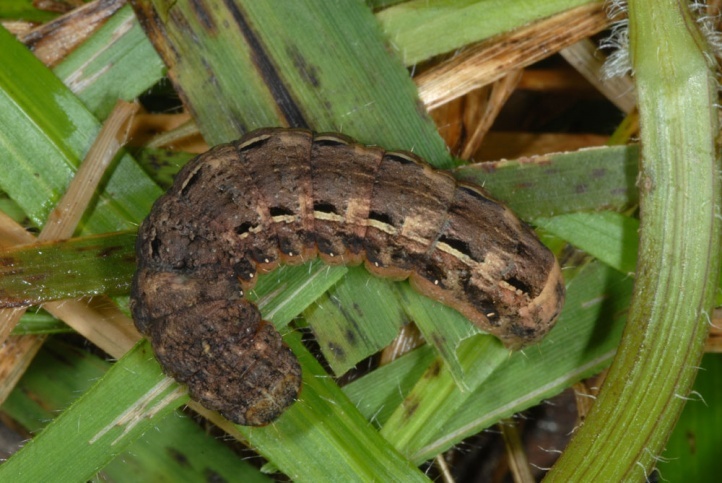 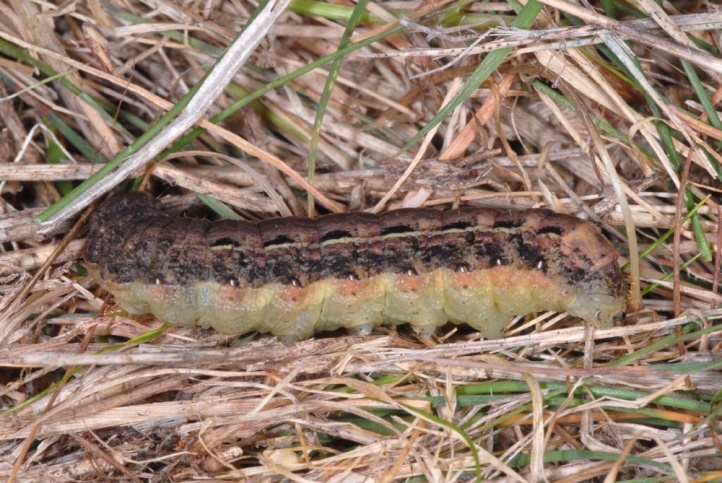 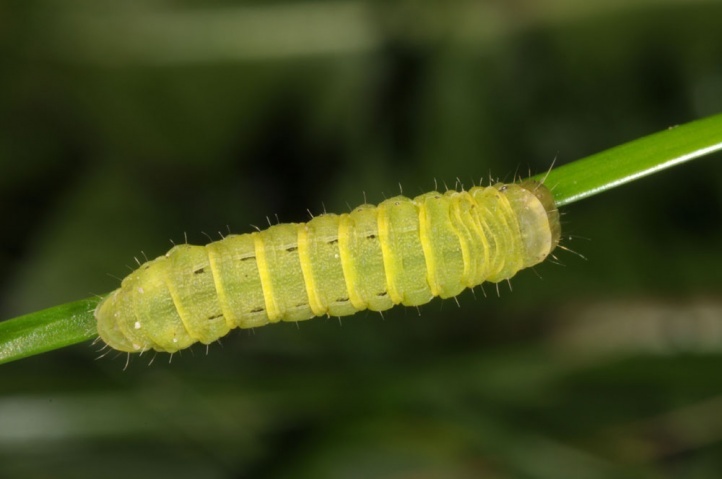 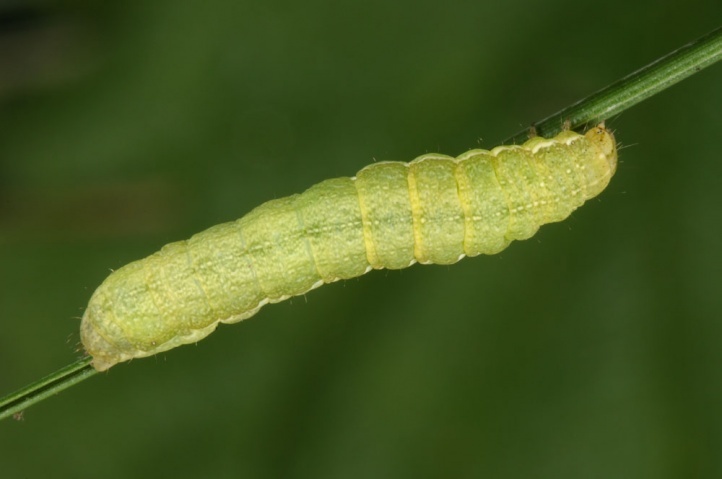 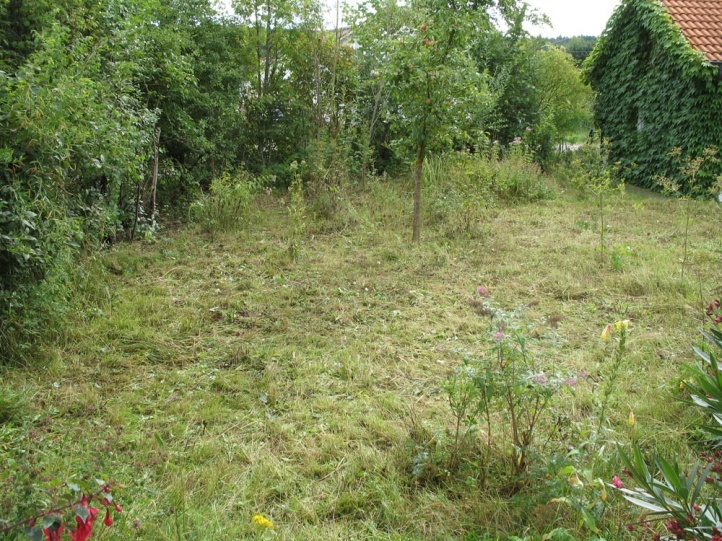 The young caterpillars feed often on grasses, the later instars also more on herbs. 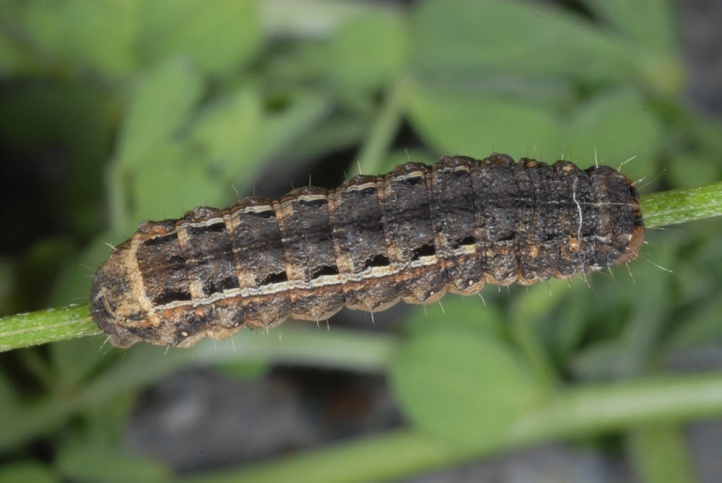 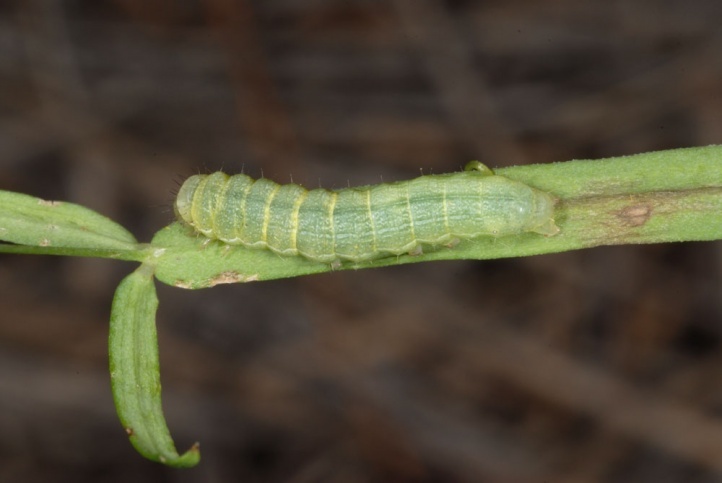 But I also found youg caterpillars for example on Lathyrus. 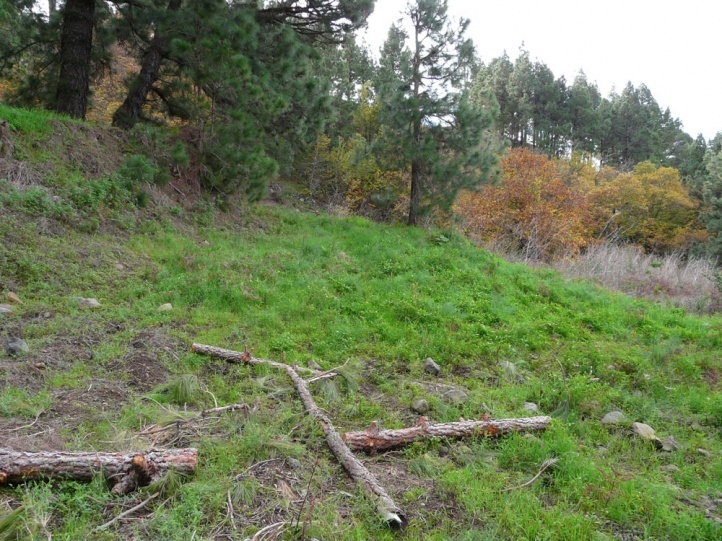 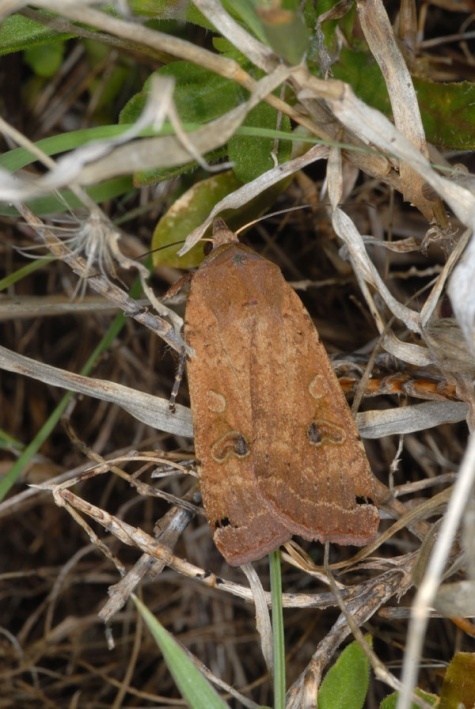 Noctua pronuba colonizes habitats of all kinds from gardens over grasslands to forests. 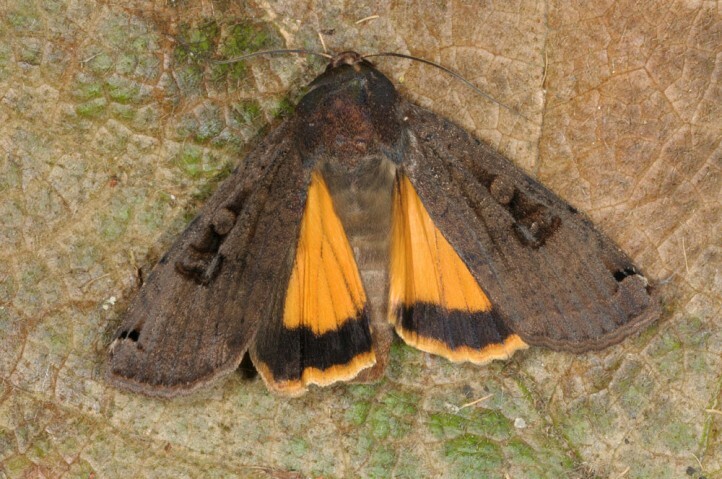 The moth is an ubiquist. 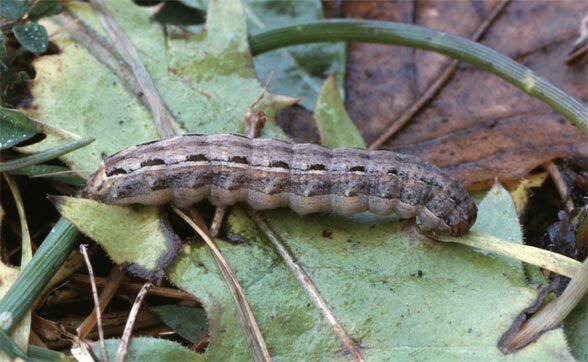 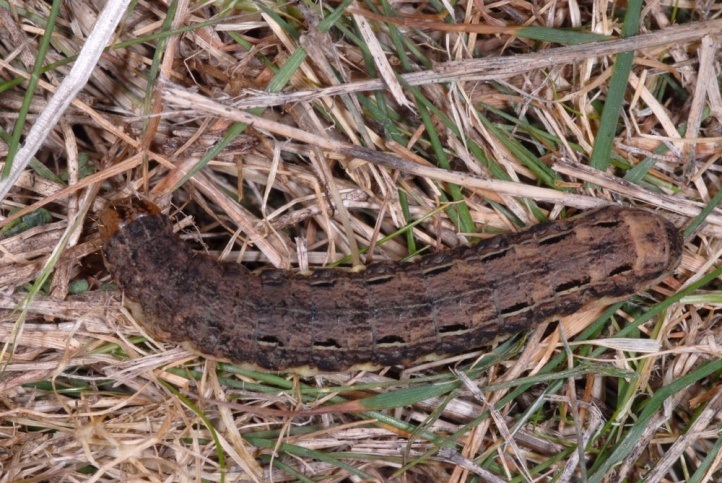 The caterpillar overwinters half to almost fully-grown and can be commonly found especially in October/November and again in March/April. 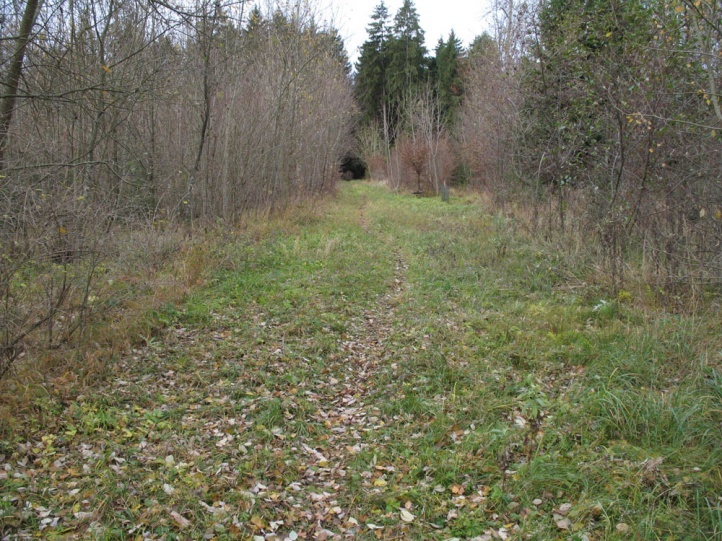 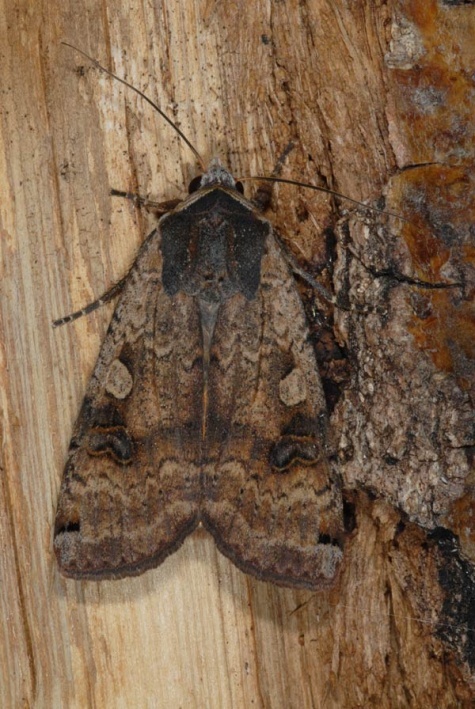 But they are active also during winter in favourable weather conditions. 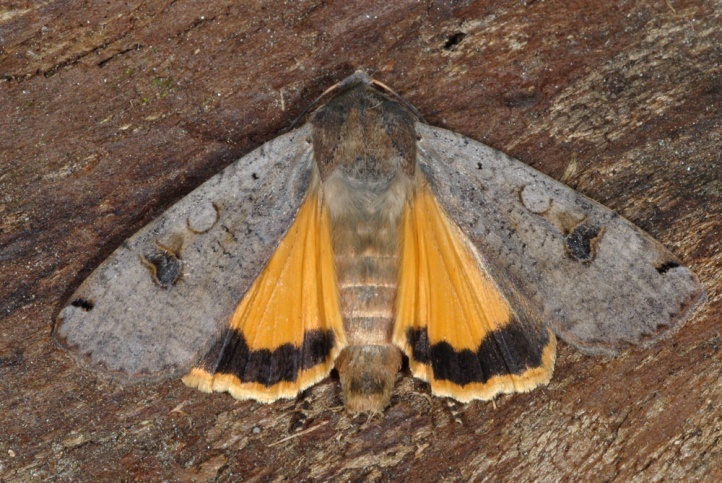 Adults can be observed throughout the summer. 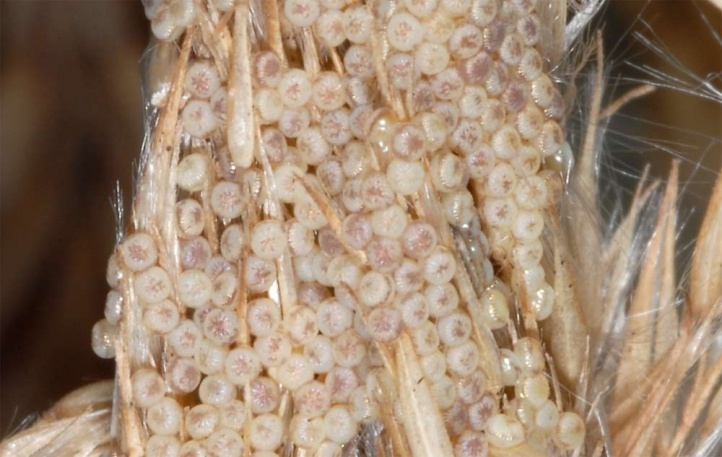 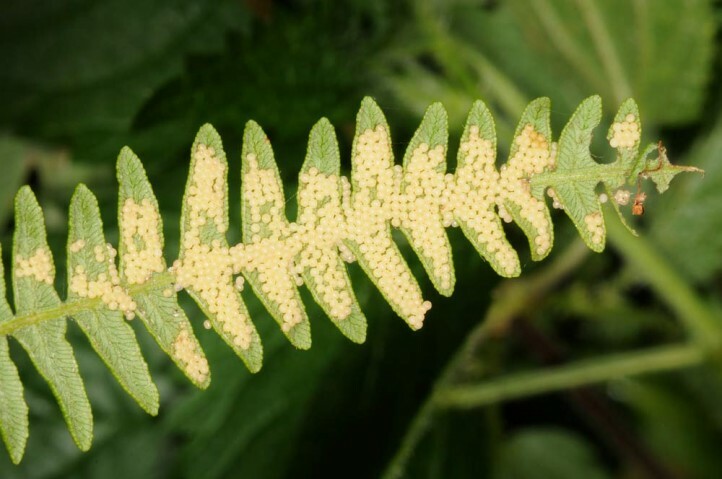 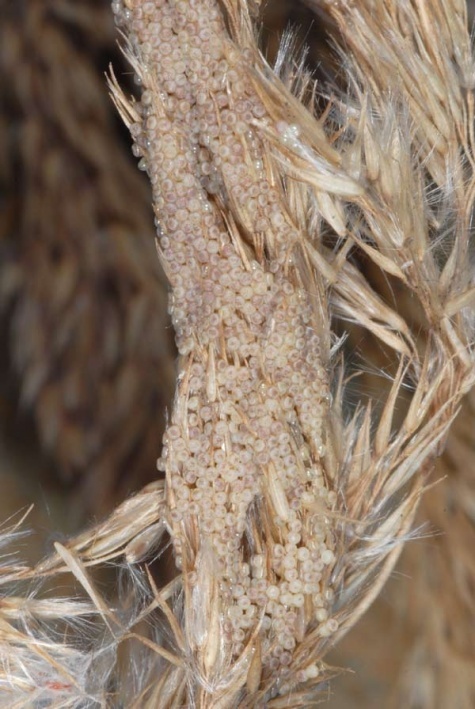 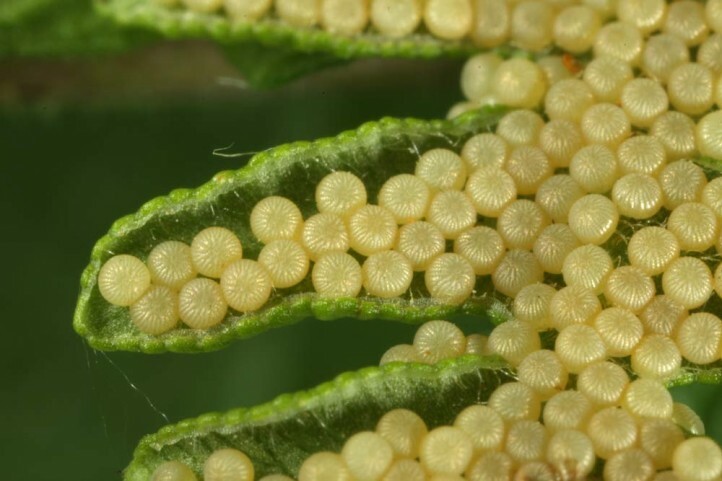 The eggs are attached in large flat batches on old blades and fruits of grass or leaves. 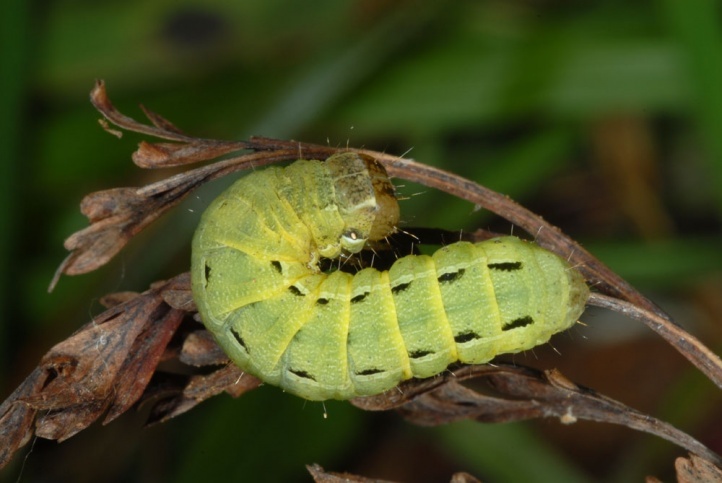 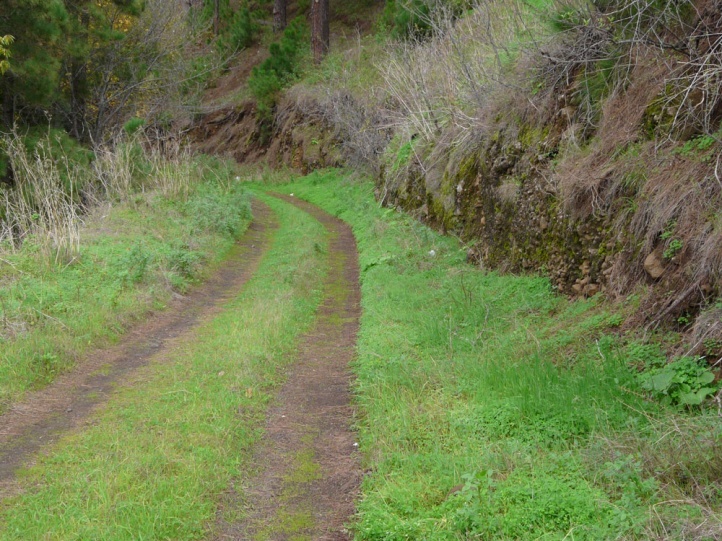 In La Gomera and La Palma (Canary Islands), I watched each around Christmas hundreds of young to half-grown caterpillars. 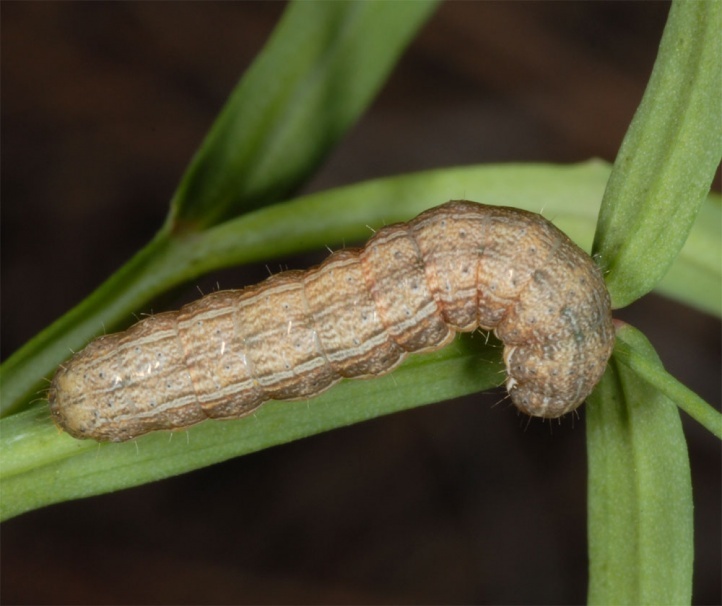 They are fitted in the phase of winter rain and growing season of annual plants (about Calendula) and pupate mostly from January to March. 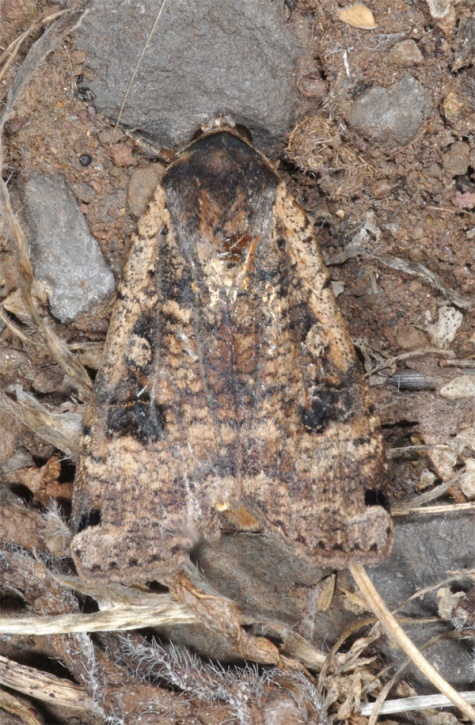 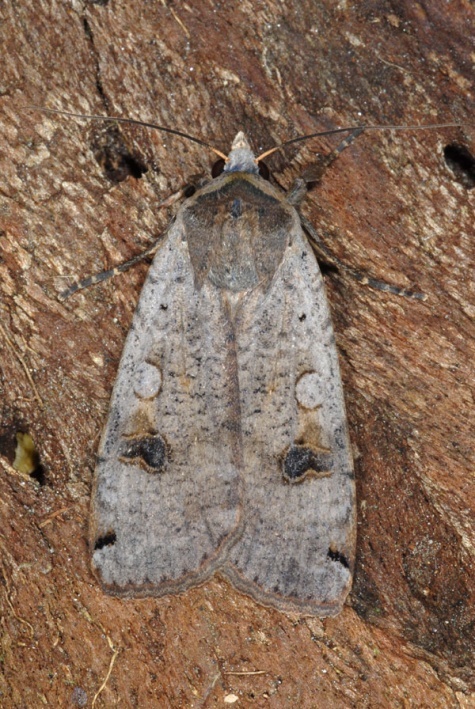 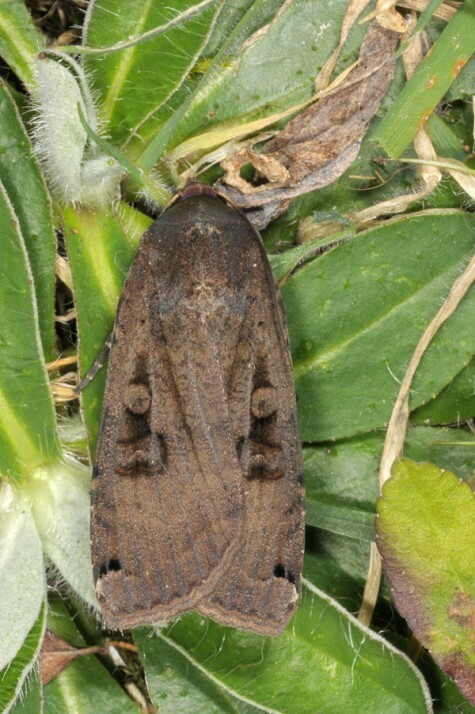 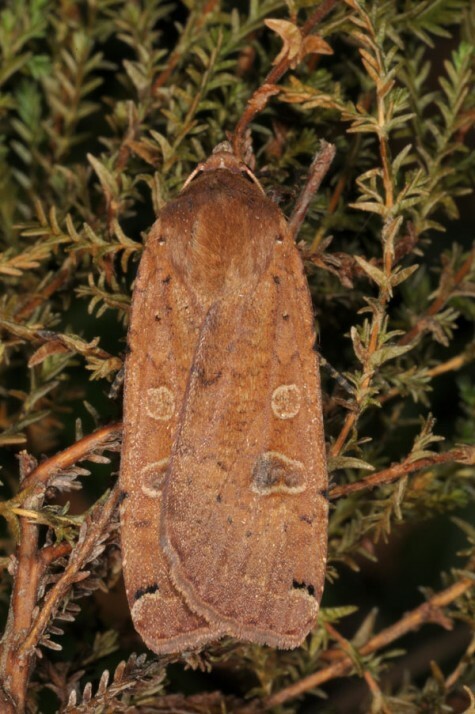 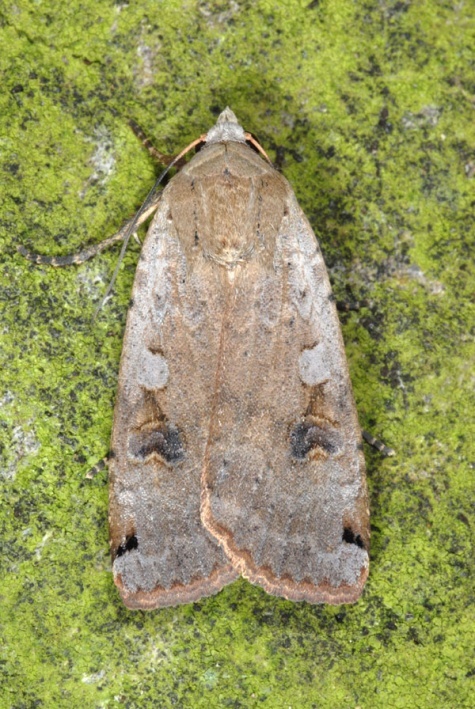 Noctua pronuba is found throughout Europe and is one of the most common species of Lepidoptera. 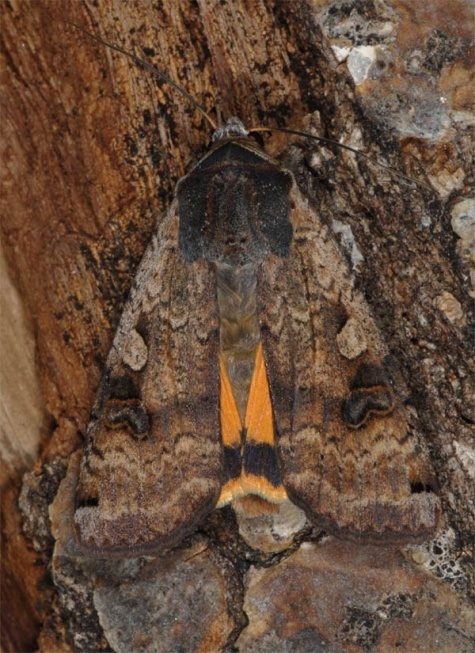 It also flies in North Africa, the Atlantic Islands, in Asia to northern India and Siberia. 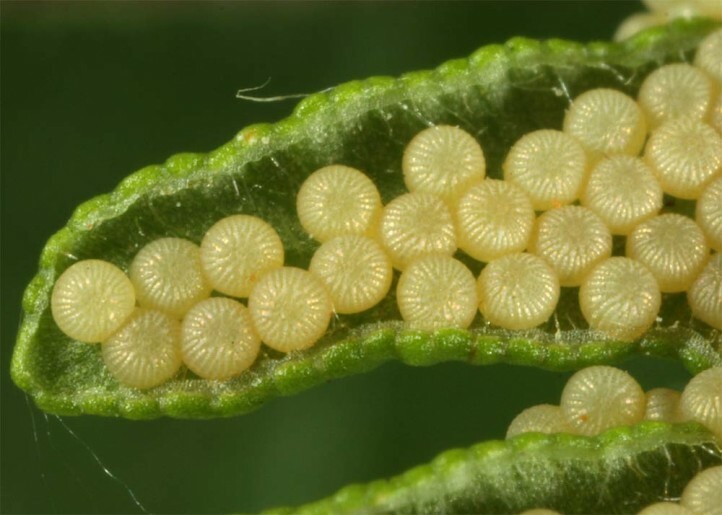 It was introduced in North America .